How does a product with "No added sugar" become sweet? We received a gift box of dark chocolates and the label said ‘no added sugar, made with organic jaggery’. I was happy to try this new product till I read the ingredients list. At the top of the list was maltitol (a sugar alcohol) which is a sugar substitute. Maltitol has about half the calories of white sugar and not as sweet as sugar. Large quantities of maltitol can have a laxative effect. The second ingredient listed was hydrogenated vegetable oil. Hydrogenated oils contain trans fat which are not heart-friendly. So, the 2 ingredients used in highest quantities in this new chocolate were not condusive to health! Then came the better ingredients like cocoa solids and organic jaggery! They seemed more like a consolation to health!! So the sweetness in this chocolate was from maltitol and jaggery, and hence the claim ‘no added sugar’. ‘No added sugar’ does not necessarily mean that there’s no other sweetening agent in a product. Sorbitol, maltitol, mannitol, honey, jaggery, high fructose corn syrup are some of the ingredients that taste sweet but are not sucrose (white sugar). So, beware of food products that make claims on labels. 0 Comments | Posted by admin at 12:06 pm. Leave a comment! Ruma Singh, a dear friend who is on the board of Chaine des Rotisseurs, invited me to attend the first culinary competition for young chefs organised by Chaine, held at Vivanta by Taj, Whitefield, Bangalore, 2 days ago. The competitors were 17 young chefs from India’s top hotels and restaurants, all under the age of 27, and with less than 5 years of work experience . Fortunately for us, the long drive to Whitefield was made easy and enjoyable, thanks to India bundh by public transport unions. The black boxes were opened by the young chefs at 12.30 pm and cooking commenced at 1 pm. The chefs were given 3.5 hours to create a 3 course menu. 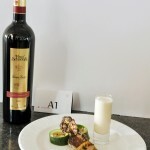 What we saw during the menu presentation to the 4 elite judges were amazing creations by budding culinary geniuses. The judges were Rishad Minocher, Bailli of the Chaine des Rotisseurs, Bangalore, Chef Rene Pierre Gouroud from Cameroon, Bailli Honoraire Manfred Matsyik, and Chef Jacques le Divellec, the Michelin 2 star chef from Paris who was invited for the event by the Chaine. Everyone present clapped and cheered the participants when they received their citations and medals. The awards were given away by the judges, Chaine board members and the sponsors (Auchan Hypermarkets, Marriott Whitefield, Bangalore, Weber India and Four Seasons Wines). The first prize winner was Hitesh Gautam from Ista, Bangalore, 2nd prize was won by Chef Pushpender Yadav from Vivanta by Taj, MG Road, Bangalore, and the 3rd prize went to Chef Senthil Kumar from Leela Palace, Bangalore. 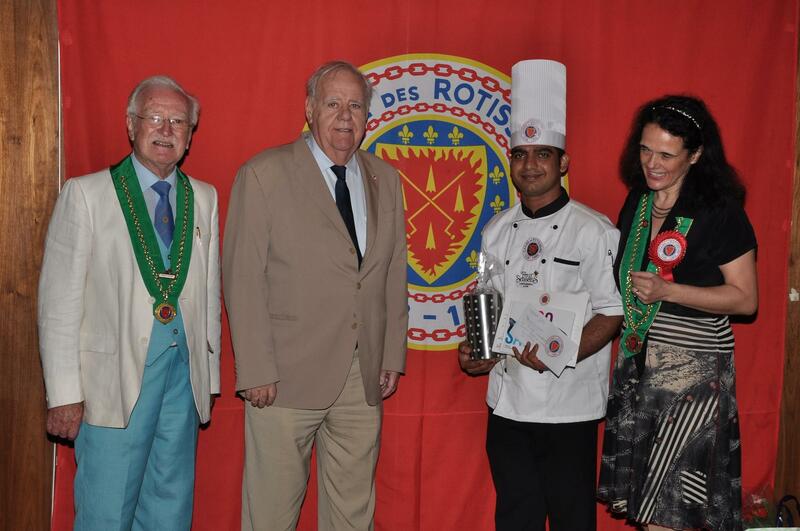 Chef Hitesh will be sent to Istanbul, Turkey, by the Chaine, along with his Executive Chef, Gautam Chaudhury, to participate in the world-wide young chefs competition, to be held by the Chaines des Rotisseurs in September 2013, where winning young chefs from over 50 Chaine member countries will compete for the grand prize. The jury also awarded special prizes for the best 3 courses in the competition. This was won by Chef Siddesh B. Madkalker, Vivanta by Taj, Yeshwantpur, Bangalore, for his Pan seared Black Pomfret and Jumbo Prawns, guacamole, red wine poached fig and fennel risotto (appetizer), Chef Gaurav Kadam, Vivanta by Taj, Whitefield, Bangalore, for his Duo of loin of Lamb and Tenderloin, glazed knol-khol and carrots, served with funghi gravy (main course) and Chef Bharat Kapoor, Taj West End, Bangalore, for his Warm chocolate pudding, strawberry coulis, caramelized figs and walnut dust (dessert). This Wednesday event was almost like watching Masterchef Australia (one of my favourite television programs). The event was beautifully organised and executed. 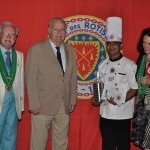 May such culinary competitions and participants grow in numbers! 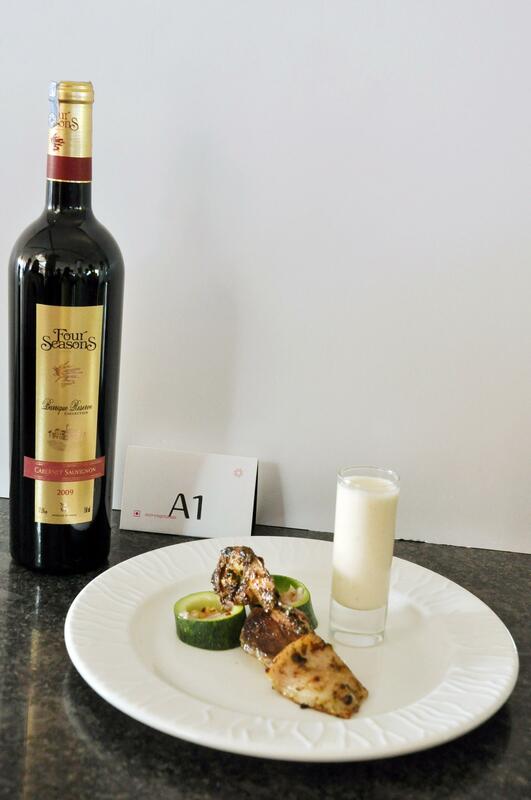 Shown here is Hitesh Gautam, the 1st prize winner of the competition, and one of his creations – “Taste of the Sea” – Soy marinated prawn, tangy black pomfret, squid ‘flower’ and avocado shooter. 4 Comments | Posted by admin at 1:40 pm. 4 comments already! I came across a news item recently that mentioned the top 5 diet trends for 2013 in the US. The article said that the trends have been derived from a nationwide survey answered by 200 registered dietitians. Natural and simple foods with few ingredients and minimally processed are ‘in’. Low carb is ‘out’. To lose weight, consumers will look for wheat belly / gluten free diets along with commercial diet programs. Dietitians, social media and smart phone apps are the top 3 resources for nutrition advice. Consumers will focus on eating high quality calories. It’s not about the total calorie intake but where the calories are coming from. Fruits and veggies remain king. Consumers will look to include more plant based foods in their diets. My take on this – most of these trends can be applied for Indians too. However, I would not go with commercial diet programs or gluten free diet plans as a means to lose weight. 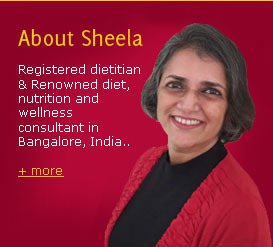 If you’re looking to lose weight, approach a qualified dietitian for help. 0 Comments | Posted by admin at 3:46 am. Leave a comment! One cannot imagine eating our daily food without salt. However, we tend to overeat salt without realising it. In excess, salt can not only increase blood pressure but also leach out calcium from the body. Let us know how useful this tool is for you and your family. 1 Comments | Posted by admin at 1:28 am. 1 comment.